Thirty-four-year-old TVB artist, Joel Chan San Chung, made recent tabloid headlines when he abandoned his wife, 40-year-oldPonny Yeung, for casino tycoon, Stanley Ho’s daughter, Florinda Ho. Allegedly, Joel and Florinda have been dating for one month. Many rumors badgered Joel for divorcing his ex-wife and his interest in Florinda’s money. Due to Pakho’s friendship with Florinda, this lead fiery exchanges between Joel and Pakho. Joel posted on Pakho’s blog, “Rick Owens was one of my favorite fashion designers. I will no longer wear it anymore, since someone wore it so terribly.” Pakho responded, “I know you can see me. Go ahead and fire away. Continue, continue! I love this sort of argument right after Lunar New Year!” In another incident, Joel sarcastically wrote on his blog, “Someone should not use other people’s names for publicity!” Joel’s statement alluded to Pakho, whose association with Florinda led to wide media exposure. Florinda noted that Joel’s statement was immature, so Joel erased his post afterwards. In addition, Joel had to defeat other suitors who were interested in winning Florinda’s heart at the same time. 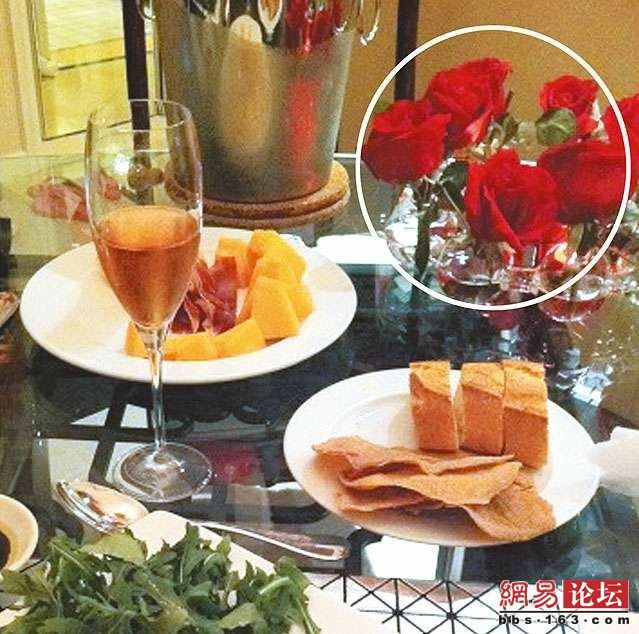 Her ex-boyfriend, Wong Dai Yip, was interested in reigniting their romance. Sun Boyz’ member, Steven Cheung, attended a Joey Yung Cho Yiconcert with Florinda and posted their photos online. When Florinda injured her finger, Steven diligently asked about her condition. After Joel’s wife, Ponny, agreed to a divorce, he informed Florinda of his single status. Joel successfully won Florinda’s heart. 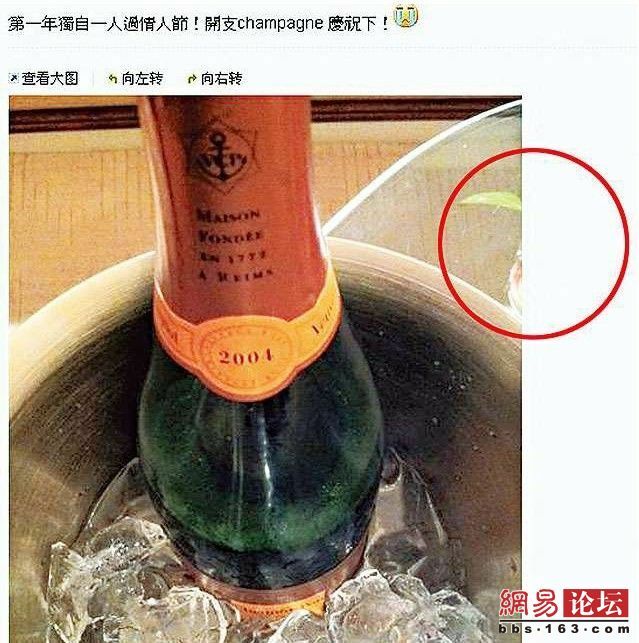 On Valentine’s Day, Joel announced that he had spent the day by himself and uploaded a photo of a champagne bottle. 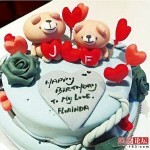 Florinda also posted a photo of her Valentine’s meal, which featured a bottle of champagne and a teddy bear cake, in which name plates bearing the initials of “J” and “F” were visible, signifying Joel and Florinda’s names.. Florinda revealed photos of her gift, a pair of gold channel shoes. The background décor of the restaurant matched in Joel and Florinda’s photos, indicating that the pair had shared a Valentine’s Day dinner together. In addition, Joel and Florinda continued to exchange blog messages in a high profile manner. When reporters confronted Florinda’s mother, who was the third wife of Stanley Ho, about her daughter’s romantic rumors with Joel, she responded angrily, “I don’t know!” Perhaps it may not be so easy for Joel to marry the wealthy Florinda after all! Jayne: Very bad publicity for Joel Chan. In this case, it does seem quite obvious that he is dating Florinda. 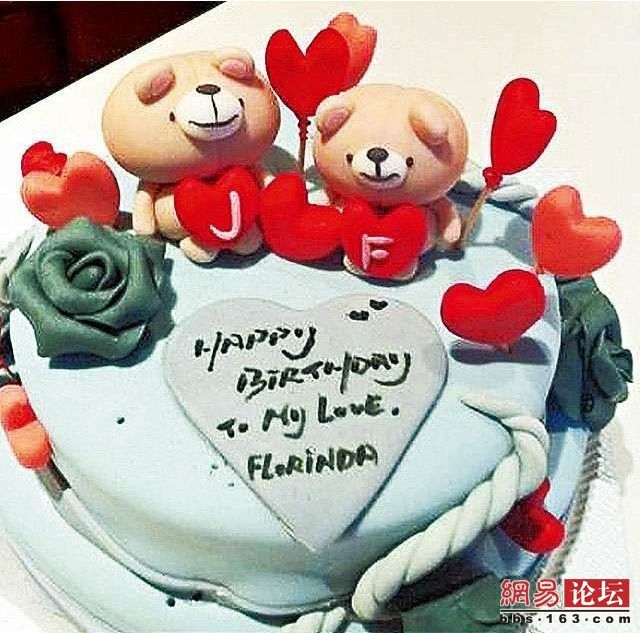 His marriage and love for ex-wife, Ponny Yeung, may have gone stale, yet it is arguable that without meeting Florinda, he may not have asked for divorce. But as he has rumour with Florida, they – reporters – are trying to make him gold digger. @Yee- Joel’s father and older brother manage the family’s transport business. Joel did not want to be part of the business. He and his ex-wife (a fashion designer) used to share a 1,000 sq ft apartment (living a beyond their income means) because of his family money. 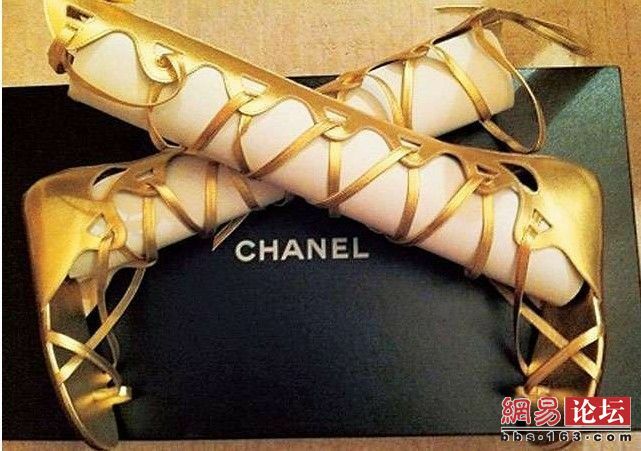 It is not clear as to how wealthy the Chan family is, but likely that are not as ultra-rich as Stanley Ho. Joel also wears a lot of brand name designers (again beyond his meager TVB salary) because of family money. The article implies he now traded up even more, driving a Mercedes and moved to new home, to match Florinda’s much richer status. Perhaps his new assets are again family money. Joel owns big gym center in Macau. Acting is just his favour. Ponny is still working for TVB after the divorce. Pony works for TVB? What does she do, I thought she was a designer? She works for TVB. See it in her weibo. Her weibo doesn’t have any personal info. Did she mention it in one of her posts? wow it is bad but he always played a vilian in the series. But who would blame him to divorce his wife and go with the young wealthy girl. His wife looks way too old for him. When I first look at the picture she looks like his oldest sister or maybe aunt. Ponny is about 10 years older than him. Yea I’m kinda traditional too and I dont think that when a women marries a younger man is a good thing. On the relationship and on the woman she will always have some kind of pressure. NOW THIS IS A SCANDAL!! Ok, Florinda (what a name!) is younger, richer, prettier, etc. Never knew Joel Chan has such an interesting life! Better not judge first until I know why they are divorced. Sometimes could be the wife. Someone in here says he’s rich? Well, maybe she is RICHER. Wait! They’re divorced! Not such a scandal but if his behaviour is so darn high profile, then I am disgusted with him. Luckily no children if not his career is over. Anyway, must everyone express their love for one another in a BLOG? Can’t they just call? Can’t they see each other and talk? To blog so openly when just divorcing his wife is insensitive. Sorry, I think of him as a jerk and good that the wife gets rid of this immature fool. Let’s see how long he lasts with Florinda since she is still very young. Florinda dear, you should heed your own advise. It is not about why he divorce, how he divorce, who he divorce, but rather how he conduct himself after the divorce. All those blog pictures seem like “sai meng” (showing off) and certainly his ex wife will be deeply hurt. Some people just have no sense. If you ask me, I’ll say that I don’t see Ponny as a victim in this case. You are quite overdate. Joel 3C’s scandal is on mags for at least a month. Thank to LF’s new scandal, the reporters gave Joel a little air to breath as they are more focus on the new one than this one. A month before that, everyday can see Joel on tabloids. @Funn, the timing of Joel’s divorce implies that there was a cross-over period when he was still legally married and he flirted and pursued Florinda. I do believe that even if the relationship or marriage had gone stale, people still stay in it for companionship. Meeting a third-party is such a huge motivating factor. Joel sounds like a flamboyant and hard-partying kind of man, which is likely why he and Florinda are compatible. I am a little disappointed by those immature blog exchanges between Joel and Pakho Chau, whom I find to be a promising talent. Joel 3C said that he divorced 3 years ago, not a day before he has rumour with Florida. And please don’t wrap the whole case by just one document. Florida is with Joel or not, no one know. @Fox, I remember seeing tabloids in the summer of 2010 where Joel and his ex-wife, Ponny, were photographed by the paparazzi. Also, according to tabloids, Ponny and Joel used to comment on each other’s blogs a lot. They were still doing so last summer. However, their commenting activity only stopped recently since the outbreak of Florinda rumors. Divorcing 3 years ago or marrying 3 years ago? This article claims he got married in 2008 and I think Joel has been saying he got divorced months ago. I believe he did raise the question of divorce to his ex-wife only months ago. He said that he divorced 3 years ago. Not very long after the wedding. Fox, can you cite the source where you found out he said he divorced 3 years ago? He married in 2008 and I don’t think his marriage ended until recently. Joel’s words are not to be believed. 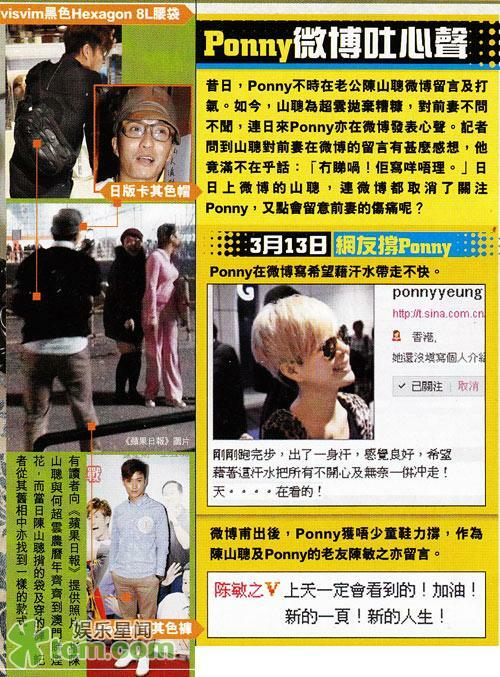 Just last year, he said he definitely is going to to marry Ponny. Now, he said that they have been married for 3-4 years and divorced 3 years ago. You might feel weird but I dislike/hate the girls in the entertainment circle who are acting victim/good girl/girl next door/I’m so naive. If these girls are existed in the industry, they will be kicked out after less than 5 minutes. They can survive in the industry, it means they are not that. So most of the time, I go for the “dirty guys” in these kind of scandal. 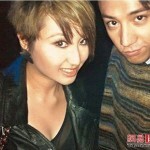 Example is I go for Derek Kwok in the scandal with Joyce Tang. Now I go for Joel in this scandal. Wait what scandal with Derek Kwok and Joyce tang? Then, shouldn’t you go for Mavis and hate on Raymond in the Raymond/Mavis scandal? But, you were defending and sympathizing with Raymond when his scandal came out. Or it only works when the ‘dirty’ one is the guy and the ‘poor me’ one is the girl? What double standard and misogyny. Yes, it only works if the girl plays the “poor me” game. BTW, if you read my comments. I have never say that I don’t sympathize Mavis :P. And LF is also in “dirty men” team in the eyes of the reporters, if you read wat in AppleDaily. Derek Kwok and Joyce Tang are rumoured in love. However, after that Derek was revealed to have daughter with a Mainland woman and dumped Joyce Tang. Then Joyce Tang was the “victim”. Raymond also play victim. Just like the girls you despise. AppleDaily always say bad things about stars. That’s how they get their sales. But, Raymond was painted as the victim is many reports. Secondly, it shouldn’t matter what the reporters paint. From my understanding of your words, what you hate is the act. Raymond is also acting victim/good boy/boy next door/I’m so naive. But, you are way more forgiving and lenient towards Ray. Yes but did he say anywhere something like Joyce Tang and Ponny Yeung are saying? They indirectly implied many times that they are so pitiful, that’s wat I hate in them. On the other hand, LF said about PSS dun have something like “God is looking”. He said quite well about her. 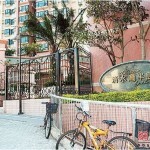 Do you see any article to say that Joyce Tang and Ponny Yeung are the crimes? No, never. They are always good, always pitiful and they always act that. And maybe I’m biased, I can’t help that, haha. Who tell me to like him. Kidding. Well, I don’t think he is so wrong to date her, or he is doing anything bad in this love. If you feel he is acting naive/boy next door in this case, I have different feeling. Acting victim, maybe :). But he is bad and wat’s up? Men isn’t bad, women won’t love. Kidding again. BTW, if you look for my post then I never said Mavis is a bad girl and I even protected her. In my opinion, Mavis isn’t wrong in this case. And from wat I read in her weibo, she seems to have a beautiful mind. She is not just a hot body. If you ask me, I support them as a couple. And bonus: I always prefer male artists to female artists, haha. I like to protect men more. Ok now I am confused. When he divorced his wife? From the article it seems like just not long ago. Funn, Joel married in 2008 and divorced Not long ago. This article claimed he signed papers in February. I thought he just announced he was married just as he was getting divorced. This happened like a couple weeks ago. I never knew Joel came from a somewhat wealthy background. His salary at TVB doesn’t match what he drives, wears, or does. Now I know why. But regardless, whatever the real reason behind his divorce or how long ago his divorce was, he will be perceived as the unfaithful husband who dumped his older wife for a younger, prettier, richer girl. And of course Ponny will be seen as the victim. I’ve never cared much for Joel Chan anyway. He has played supporting roles in many series in which none were really memorable anyway, and those that I did remember of him were of him playing a villain or a jerk. 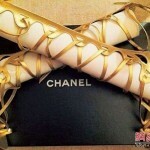 Those must be tailor-made for him…lol. Now with this news out, it will be very hard for him to get promoted in the future. Whenever male artists get involved in some type of third-party relationships, scandals with other female artists, or money issues with women, it’ll be really hard to revive their careers. Look at Deric Wan for example. Ever since his incident with his former girlfriend Chan Mui Hing was revealed and money issues were involved, he was seen as a jerk. His career was never the same afterwards and I loved him when he was at his prime in the late 80s/early 90s. But no one had it worse than.. what’s his name? Ken Tong? Kent Tong? forever will be associated with the suicide of Babara Yung. His career flatlined after that. I feel that it is soooo unfair to Kent TOng. It’s not like he murdered Barbara. Everyone just assumed that she committed suicide because of him. However, whether she committed suicide or not is still a mystery… No one really knows the whole story behind that anyways. Kent still had a decent career after that and now a pretty happy life, therefore, I don’t think Barbara’s incident should affect him anymore(except for those big and close minded Barbara fans that still hold a grudge against Kent). You are wrong. This scandal affected him very much. It’s one of the 5 Tigers back then and has very good future. Now, all you can say is he has a ‘decent’ career. He’s the least successful of the 5 Tigers. Funn, to be implicated in someone’s death, especially someone as popular as Barbara Yung, is a big “sin.” as to the factors leading up to Barbara’s death, we will never be truly clear though. ATV’s Lulu Ng’s involvement with a wealthy married man also resulted in the suicide of his wife. lulu’s career tanked after that. The Chinese audience (especially in HK) do appear quite judgmental about artists’ private relationships, so more reason for them to want to keep everything more secretive. 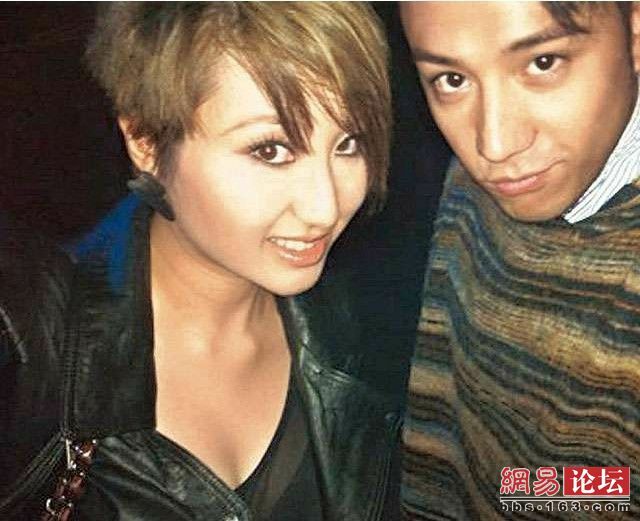 I sort of forgot about Deric Wan’s incident with former girlfriend Chan Miu Hing. Can you remind me about it?? don’t be so sure about that. Florinda’s family is super rich and powerful, they also own investment companies that inject funds into films(The Jade and the Pearl being one), television projects. if TVB doesn’t promote Joel, who says Florinda’s companies won’t? plus TVB always views connections favorably. i think they kept Joel around and let him play in the studios, due to his family assets and ppl he knew in there also, now he just increased it with being associated to the daughter of one of the wealthiest billionaire casino tycoons in Macau. if he is looked on as a future son-in-law, honestly, TVB will not slight him or his connections. 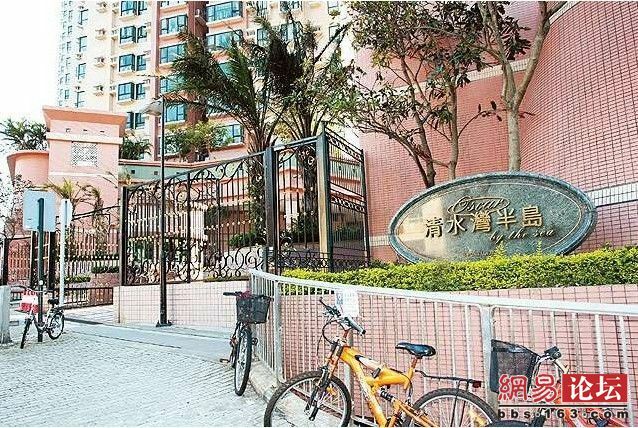 the Ho family could buy out TVB if they like. so my opinion is TVB will only look to have more business publicity with the Ho family from this. Joel was boring before this, now this news is very interesting to me. when love is gone, what can two ppl do, but move on. life is short, Joel is still a young man, 35 is not old at all. ppl just want to be happy. he also became marketable after PCOM II so from the looks of it, his career is only starting, not ending. I remember reading in an earlier article (before the divorce news came out) that Ponny is much older. The age gap between her and Joel was quite large, not 6 years like this article depicted. Joel is not a traditional guy. Before all this bad news broke out, Joel has said that his family likes Ponny. So, there’s no objection from family members either. They have been together for 10 years. Kidd, reporters got Ponny’s age wrong and kept writing that she was 47, but Joel finally cleared up her age and said she was 40. I search back the old article liao. Joel’s wife is 46 years old. In general, many HK people have weird English names. I know somebody in HK is called Swan and Bear. A break up of a marriage is also sad… but for it to be finalized on Valentines Day? Double whammy. he’s already not a good actor, meh – more reasons to NOT support him. Out of TVB is Deep Ng. Didn’t know that Deep Ng already married. Who did he marry? HongKong stars have really the oddest english name. It like they want to be unique so they choose name that aren’t even name. Joel Chan has a very arrogant and jerk-y look about him, plus he does not have very good fate with the audience. I doubt he’ll go much further in his career — plus Florinda is quite young… i doubt a young rich heiress would settle down so quickly. i doubt he wants to settle down with her. He just wants to have fun with her and by have fun, i mean using her! Yes, I also think that Joel’s reputation after this incident will be tarnished. And Florinda wouldn’t want someone like Joel – not rich enough and not high enough societal status. I was beginning to like his acting, but now have 2nd thoughts about him.